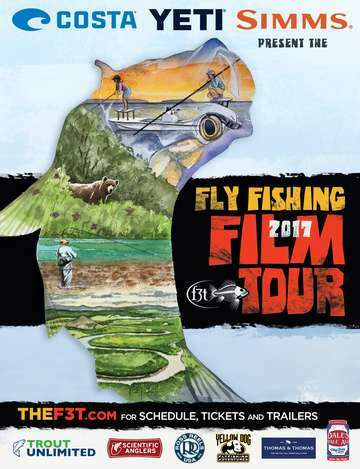 The Fly Fishing Film Tour is brought to you by McCollum, Rawlins, Cauley & Parrott, LLP, Thomasville National Bank, Catch50 and the Wright Group. Doors will be open at 7:00 pm and the film starts promptly at 8:00 pm. This private event serves to highlight and showcase fisherman from around the globe who are inspired and motivated by fish and the unique environments in which they thrive. The event will also be an opportunity to sign a declaration in support of the Now or Everglades initiative, advocating to promote the flow of clean, fresh water to the Everglades Nation Park, Florida Bay, and the Florida Keys. The Everglades is a World Heritage site that plays a critical role in supplying drinking water to over 8 million Floridians as well as supporting the incredibly diverse flora and fauna. All donations will be directed to the Everglades Foundation. For more information contact Callie Sewell at callie@wrightbroker.com.